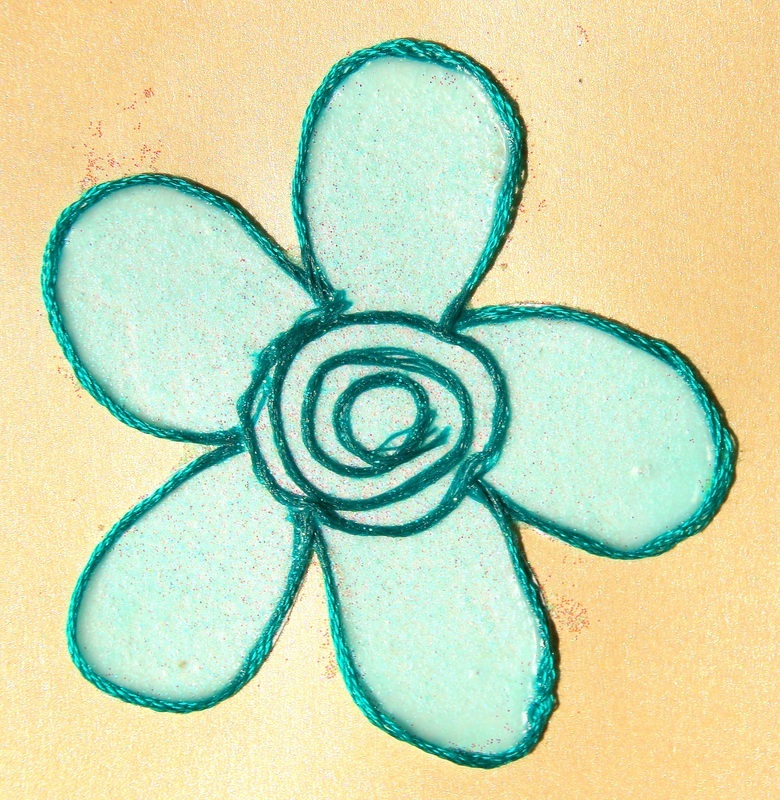 These flowers are created using double-sided paper and PVC glue to hold glitter firmly into place. 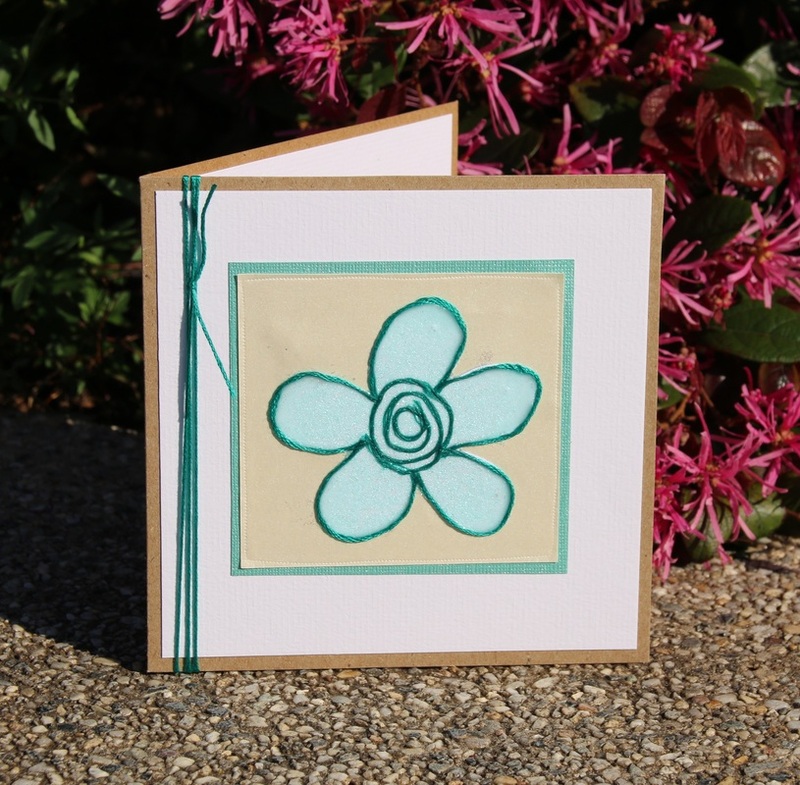 Use the flowers to create cards or embellish scrapbooking pages. 2. Glitter -Fine grained glitter works best. 1. Print out the template: either as a pdf doc (below), or jpg image (right) onto the A4 card. If your Double-sided sticky paper is A4 size, you can print directly onto it, and skip step 2. 2. 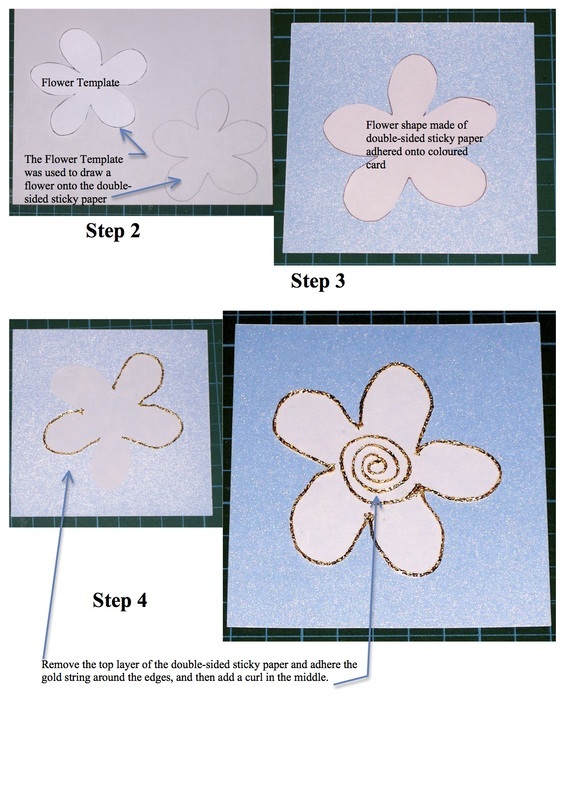 Cut out the flower template from the card. 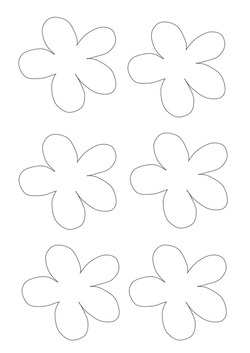 Trace around the template onto double-sided sticky paper and cut out the flower shape from the double-sided sticky paper. 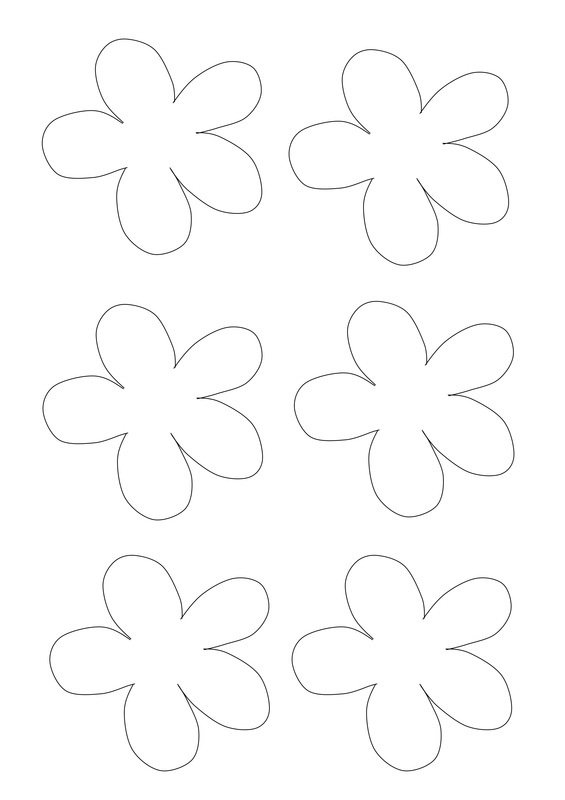 ​ if you have a sticker maker, run the flower template through it twice, covering both sides of the flower. 3. 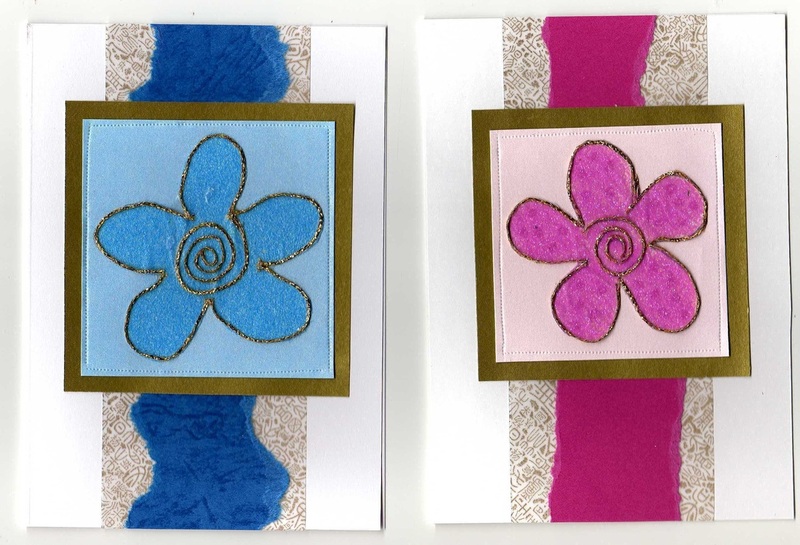 Adhere this flower onto the centre of the piece of coloured card, first removing the protective papers. 4. Adhere your craft string to the edges of the flower. The final result will look better is you use a separate piece of string for each petal. 5. Lie the card onto a piece of scrap paper. Cover it with the glitter. 6. Shake off all the excess glitter, catching the excess on the paper so that it can be returned to the bottle. 7. 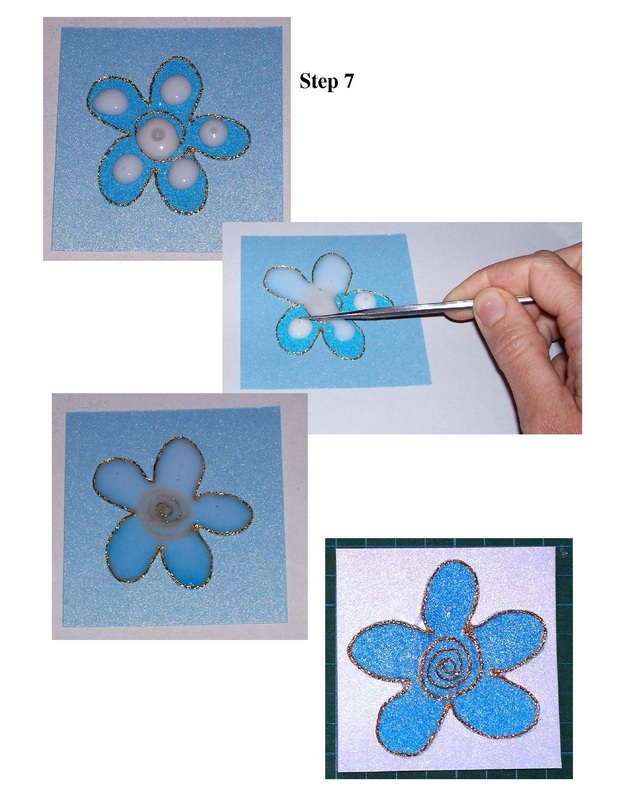 Cover the inside of the flower (touching the string edges) with a thin layer of PVA white glue. 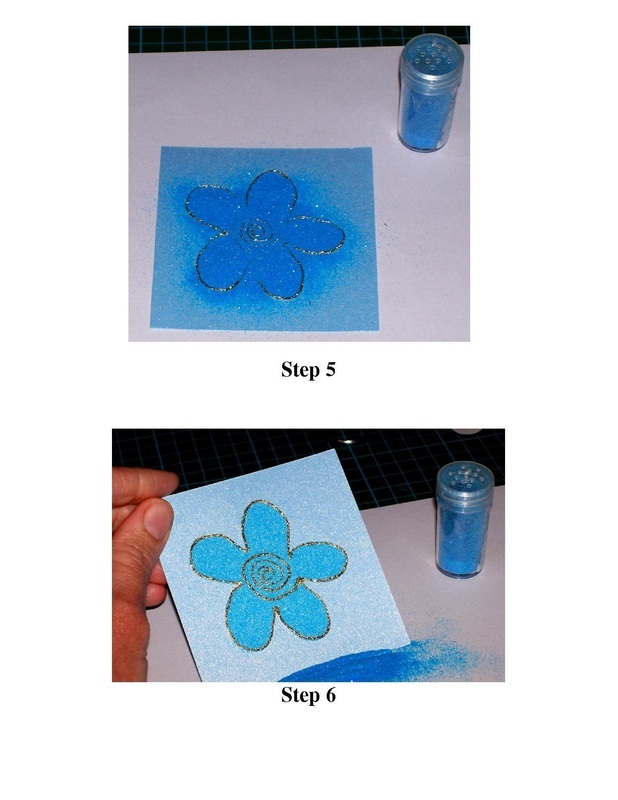 This will prevent the glitter and string from rubbing off the flower once it has set. Set aside to dry (approx 24 hours). The thinner the layer of glue, the quicker it will dry, however, if you try to spread it too thinly, you may rub off the glitter while you do it. 8. 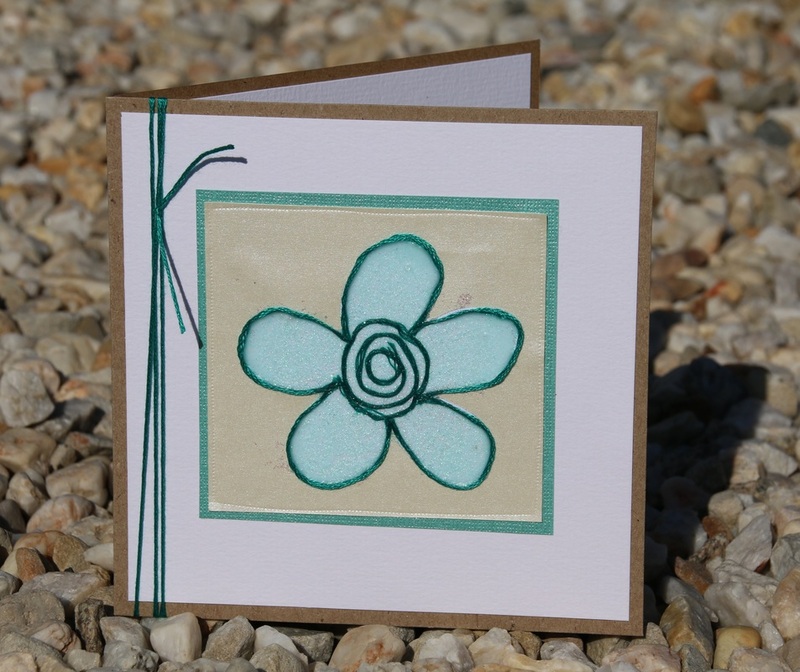 Trim the edges of the card around the flower to a square that is approximately 0.5cm from the outer edges of the flower on each side. 9. 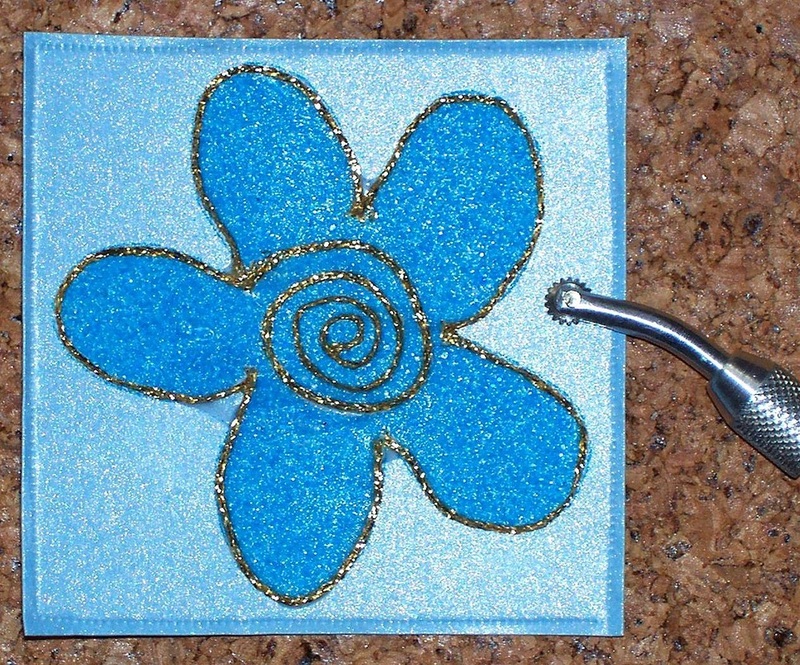 (OPTIONAL) Place the flower onto a piece of cork and using the punch wheel, mark approx 2mm in from the edges.